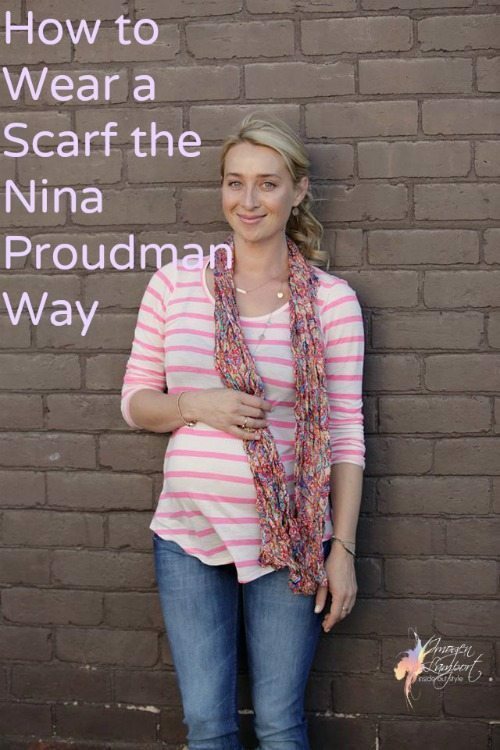 Nina Proudman is the lead character in Offspring – and Australian TV drama and is the TV sister of Kat Stewart who has been featured here on my Stylish Thoughts Series (for those of you who are wondering who she is). She has a fairly bohemian dressing style that suits her slim X, small busted frame. 1. She layers – a tank or t shirt with a vest (waistcoat) or a little cardigan or jacket. 2. 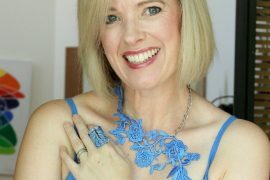 Scarves and necklaces are layered too, but they are usually very slim long scarves with a long pendant or fine chain or two. 3. Relaxed, soft fabrics – nothing is stiff, everything moves. 5. Wear the scarf either looped loosely around your neck once or just left hanging to create two long elongating lines. This is particularly important if the scarf is adding bulk. 7. 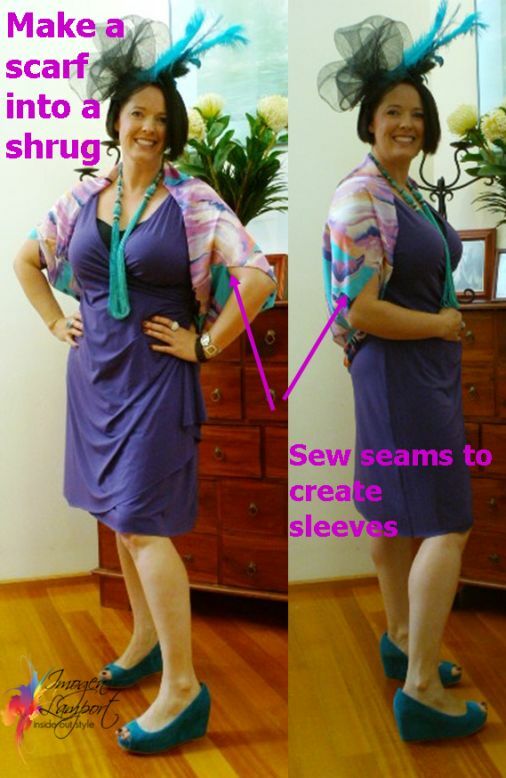 Wear slim fine layers in soft fabrics so they don’t add bulk. I’m curious how you classify her bohemian style: relaxed + creative? Sounds like me 🙂 Now, the big question for me is: how to do it at the office! I tend to just err on the side of casual/creative. Mostly I get away with it (I’m sure it doesn’t much *help* me), but it’s hard not to feel out of place mentally and/or dress-wise, depending on the day. A couple of years ago you helped me to avoid suits for client meetings. I couldn’t do it [wear suits]! Can be hard to do at the office unless you have a casual dress code. Maybe rather than little knit cardigans, think about a knit jacket with slightly more structure which will make you look smarter and more professional. Search them out Lily! 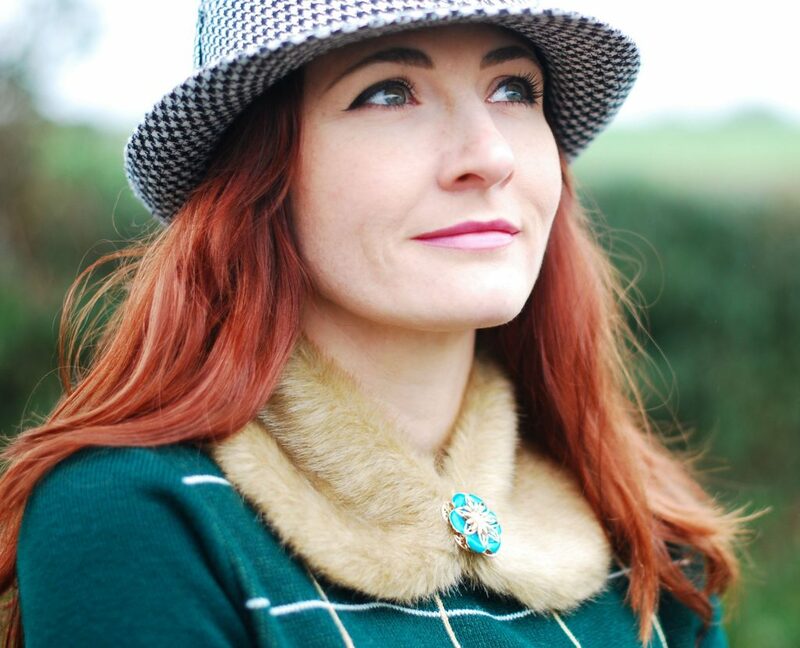 Sometimes you may find a scarf that is gorgeous but too wide, you can have it cut up into multiple slimmer scarves! What a great tip! I could make 2-3 out of one scarf. A great gift idea too! All the above mentioned points are really good. I liked the way she wore the scarves in different ways. I am definitely going to try all the styles. 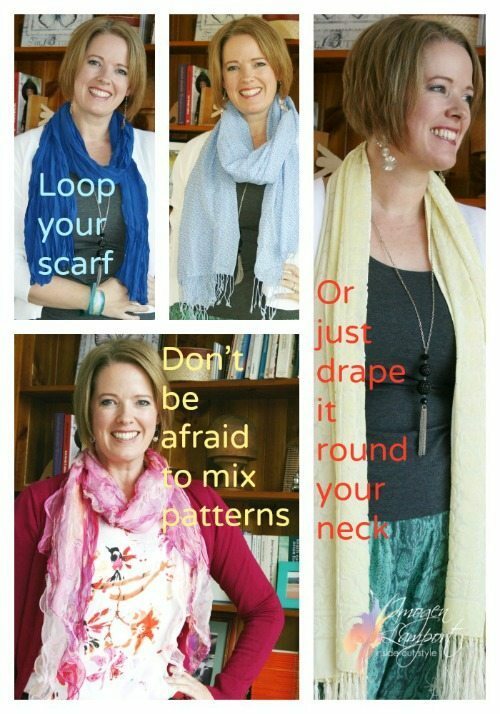 I liked the line the most “Don’t be afraid to mix patterns with your clothing and scarf choices”.